The acromioclavicular (AC) joint is the meeting point of the acromion and clavicle bones, often indicated with a visible bump in the area. It is a structural joint and not a functional joint. AC joint injuries often occur as a result of a fall or other trauma, which may cause the acromion to move or separate from the clavicle, or cause the ligaments to be stretched or torn. Arthritis can occur in the AC joint, causing pain and swelling. This condition can be seen in weightlifters and workers with jobs that place a heavy demand on their shoulder. 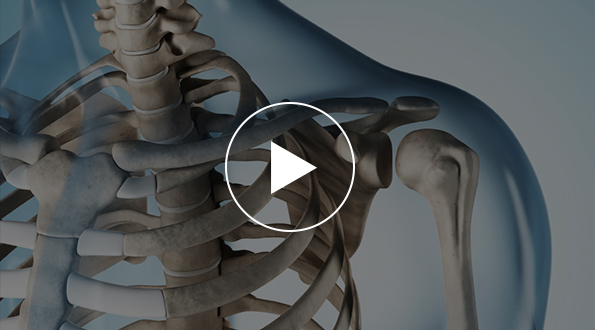 There is usually a history of a traumatic injury and the physical exam will demonstrate pain, and swelling and bruising around the top of the shoulder at the AC joint. X-rays can be helpful in the diagnosis. Ice and anti-inflammatory medications will reduce the swelling and pain. As the pain and swelling subsides, exercises are used to restore function. If there is chronic pain, a corticosteroid injection into the joint is performed. If the acute separation is severe or if there is chronic unrelieved pain, then surgery is considered.